Nearly thirty years old, Apeejay Old Student Association, connects, fosters, serves and creates opportunities for all students of our School as well as the School management. The Association’s activities are led by the Executive committee comprising Honorary Chairman, President, Vice Presidents, Honorary Secretary, Joint Secretary, and Treasurer, Immediate Past Secretary (ex-officio), Members and President of Local chapter. All of these positions are elected. Clockwise : Ravindra Gupta, Manmeet Singh, Anirudh Chokhany, Bimal Samal, Ashissh Jhunjhunwalla, Manoj Bhaiya, Pankaj Bhutoria. To connect alumni to the schools and to each other, build traditions, foster interaction among student, alumni, and faculty and ex-teachers, serve the diverse needs and interests of society and community, and create opportunities for investment in the School's future. To encourage the Association to take abiding interest in the progress and development of the Alma Mater. To generate corpus for creating better educational/recreational facilities for the School. To enable knowledge building, facilitate the exchange professional or academic knowledge,. To undertake all lawful activities that are conducive to the attainment of the above objectives. Apeejay Old Student Association or APJOSA is registered under the West Bengal Societies Registration Act, 1961 (Act 26 of 1961). 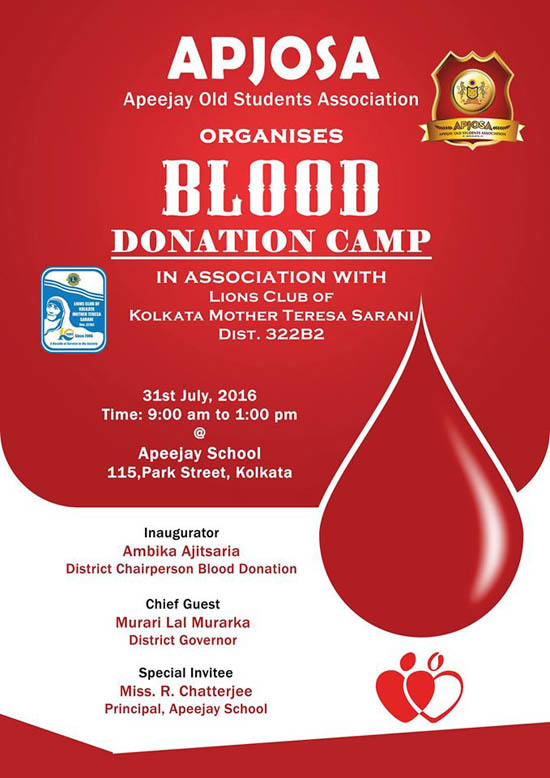 The registered office of the Association is Apeejay School, 115 Park Street, Kolkata – 700016. I fondly remember my time at Apeejay, and the formative experiences gained here have had the most impact on my life. Though not so much at the time, I now realize the importance of discipline and structure that our then Principal, Mr. McNamara instituted. And I can never be thankful enough for the encouragement and support from Ms Chatterjee towards driving all-round development among her students. It's also the little things that matter - I could tell any number of stories of my teachers and the (by their perception) little things that I learnt which have had a profound impact in my life. Lastly, but most importantly, my friends. It's true what they say about school friends being for life. I'm still in touch with all the folks who I grew up with, and while most of us now have families and worldly responsibilities - we still enjoy getting together every once in a while to reminisce about the great times we had. It's a built-in network that most professionals in North America spend their lifetimes cultivating. Navneet Chajjer is a Solutions Partner at Facebook. After School, he went on to pursue graduation from the University of Windsor in Canada and stayed back to work as a Java developer in Toronto, switched to Salesforce in a Technical Account Manager role. At Facebook, his work enablies brands to get maximum results from their media investments. School time has been one of the most carefree yet valuable period of my life. I say this not only because of what I learnt as a student, but also because of the way my personality was shaped there. From learning to share lunchboxes, participating in group activities (dance, drama, quiz, debate etc), making so many friends (and fighting with few), studying and struggling with every difficulty to ultimately handling student council responsibilities as the Head Girl and Interact Club President, I have learnt many life lessons that I am thankful to my teachers for. I was voted as the naughtiest student in class 8 and a major transition happened as I bagged the student of the year award in my senior school! This itself shows how loved and well guided we were throughout our protected school (read shell) life. I do miss not being able to go back to school every year but I hope that the current students are making the most of every opportunity being provided to them! Neha Dubey is a clinical Psychologist/ neuropsychologist at Apollo Gleneagles Kolkata, is an M. Phil and hopes to start her PhD soon. A. Public Speaking, which helped me conquer my inner demons and triumph over a serious case of Stage Fright I used to have before any Debate, MUN or Morning Assembly Speech. It also helped me voice my opinion in an articulate manner and engage in discussions which helped me better understand the world around me. B. Administrative Responsibilities, primarily being in-charge of the Students Council and the Interact Club which helped me become more accountable for all the responsibilities entrusted to me and instilled a sense of the Community Spirit in me. C. Academics, which above all taught me that the key to success lies in persevering and trying until you just get it right. When I look back at the time I first came to Apeejay and failed at Mathematics in Class VII to the time when I recieved a letter from the then HRD Minister Smriti Zubin Irani for my scores in Political Science and Sociology post the Boards, I shall forever be indebted to this institution for instilling in me the art of persevering against all odds and getting me to do what I needed to become who I wanted to be. Soham Banerjee is studying Law in Mumbai and is a Training Fellow at MUNCafe, a fellowship program to increase the accessibility of Model UN Simulations in India. Apeejay school has been instrumental in nourishing my primary education which helped me to grow as a disciplined and successful professional in life. The school environment had continuously pushed me to perform better everyday. I am extremely grateful to Mrs. Chatterjee for not only mentoring us to achieve our goals but also standing beside us just like our parents in times of need. I will cherish these golden memories throughout my life. Thanks a ton to all the faculty and staff of Apeejay school. Ujan Banerjee is Senior Software Engineer, RS Software. Apeejay School gave us so many things - discipline, learning, valuable friends, parent like teachers to name a few.. School Days have been of the best phases of my journey thus far. We realise how important school days are in shaping up our thought process, our perception and our attitude once we leave school. I will never be able to thank my teachers enough, my Principal Mam and all other support staff of the school for the memorable years spent there. I will always be grateful to be associated with this wonderful institution. I will always be a student of Apeejay!! Abhishek Agarwal graduated from St Xaviers' College Kolkata, completed his Chartered Accountancy Degree to work with PricewaterHouse Coopers (PwC). 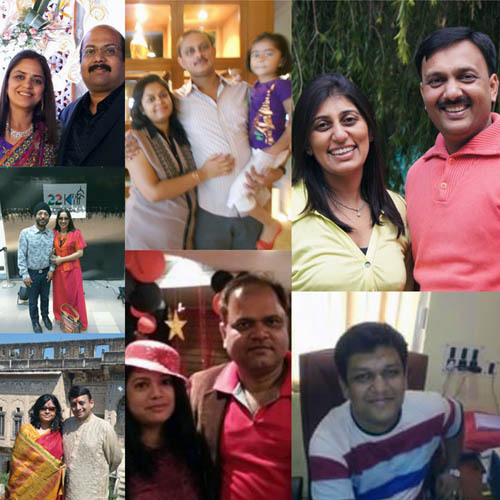 He is an independent practicing Chartered Accountant with offices in multiple cities of India. It is hard to believe but I still remember the first day of my school life when I got lost and started to cry. The only place I knew was the Office of Principal Ma'am since that is where my interview was conducted so I went there and Principal Ma'am took care of me and guided me to LKG. Right from then till now and for years to come, her guidance, teachings, blessings and encouragement not only to excel in life but also to be a good human being have contributed immensely in shaping up who I am as a person and as a professional today. I can proudly say that I have been extremely fortunate and blessed to have got the opportunity to learn and get guided by the best teachers in the most crucial years of my life. I can think of innumerable instances of school life that are really close to my heart and have helped me learn and grow. What sets Apeejay apart from any other education behemoth is that the environment created for young minds here is sublime - the teachers create an ambience which is discerned by the child not as a place of learning but rather as a family of learning. You feel you're in a home away from home. This embellishment of a caring, loving & learning atmosphere is what matters the most and makes all the difference. I conduct Seminars and Workshops all across the globe to train people in the field of Finance and teach them the nitty-gritties of how to grow their Investments strategically. Within a short span of hardly 18 months, Almighty has been graceful & I have conducted Training seminars in 15 cities globally with over 2,000 people. A large chunk of these people are now my regular clients, who periodically ask for advice. It's hard to believe but I still remember the first day of my school life when I got lost and started to cry. The only place I knew was Office of Principal Ma'am since that is where my interview was conducted so I went there and Principal Ma'am took care of me and guided me to LKG. Right from then till now and for years to come, her guidance, teachings, blessings and encouragement not only to excel in life but also to be a good human being have contributed immensely in shaping up who I am as a person and as a professional today. Soumya Malani graduated from St. Xavier's College, Kolkata, went on do Masters from London School of Economics and Political Science and is Co-Founder of Sharebazaar - Your Market Guide. Memories come gushing down like an avalanche when I think of my school days. From my frightened self running back to my father on the first day in class 1 to the last day in class 12 when friends hugged each other not knowing when we will meet again; not knowing when we shall again see our favorite teachers again; it is sheer nostalgia. Outstanding teachers; emphasis on discipline; teachers caring for each and every student in the class and the confidence that our school instilled in us became the pillars of success for all of us in our lives. Asif Iqbal is a Freelance Artist. All Alumni of Apeejay Schools as well as other institutions related to Apeejay Schools as well as all members of teaching staff of Apeejay Schools are eligible for Life membership. (i) Rs. 3000.00 for Alumni living in India and teachers. A student shall cease to be a member if he/she resigns from his/her membership or is of unsound mind or is convicted by a court for any offence involving moral conduct or on termination of the membership by the Executive Committee for compelling reasons as may be determined by the Executive Committee.